MULTIETHNIC PATROLS IN BOGOVINJE, PIROK AND ZEROVJANE VILLAGES. The patrolling of the multiethnic police teams accompanied by the representatives from OSCE and NATO's mission "Amber Fox" began Monday in Bogovinje, Pirok and Zerovjane villages in Tetovo area. According to the Media Activity Center, the patrolling was carried out without any problems. Although it was planed the police patrols to enter in several more villages, the realization of the Plan will continue in the next few days. Except in Celopek, the patrolling is conducted according to the scheduled dynamics in all the other villages. Occasional shootings are heard on Monday afternoon in Tetovo area, registered from the northwestern part of Tetovo as well as from the villages under Sar Mountain. According to police sources, in the period between 08.30 - 14.30h volleys of fire were registered from Arabati Baba Teke locality in Tetovo, Rasadiste locality near Tetovo - Popova Sapka road, from Selce, Odri, Prvce, Dolno Orasje villages and Vratnica Lake locality. Spokesperson of the General Staff of the Army of the Republic of Macedonia, the Colonel Blagoja Markovski said that Sunday night a detonation was heard from direction of Lavcanski dol area, near Tetovo. He informed that 47 sporadic and 9 rifle shootouts have been registered from the areas of Strimnica, Novo Selo, Gajre, Sidol locality, Selce Kec and Mala Recica. Armed provocations have not been directed at the positions of the Macedonian security forces. In Kumanovo - Lipkovo region, during Sunday night, 164 sporadic and 10 rifles that came from the areas of the villages of Vaksince, Slupcane, Vistica, Matejce, Nikustak, Lojane and Alasevce shootouts have violated the peace 36 times. Shootouts have been directed at unknown targets whereat Macedonian security forces did not respond to the provocations. Mixed police forces are to enter in new villages and the patrolling in the villages of Matejce, Otlja, Orizare and Lipkovo continues. MINISTER CASULE IN NEW YORK. Macedonian Minister of Foreign Affairs Slobodan Casule arrived in New York Sunday afternoon, local time, to participate Monday in the session of the Security Council of the United Nations. The main goal of Casule's visit to the seat of this World Organization is the issue on the border line between Macedonia and FR Yugoslavia, raised following the statements of some KFOR and UNMIK representatives in Kosovo. In other words, he is expected to eliminate all dilemmas with regard to the legality of the Agreement for demarcation of the border, signed on Feb. 23, 2001 at the Summit of the member countries to the Process of Cooperation in Southeast Europe. As expected, Minister Casule will participate in a dispute about the realization of the 1244 Resolution for Kosovo. During his stay in New York, Slobodan Casule will have a meeting with the Chairman of the Security Council's Presidency, as well as with the ambassadors of the Security Council member countries. PARTY LEADERS MEET AT PRESIDENT TRAJKOVSKI'S. Macedonian President Boris Trajkovski meets Monday at his Cabinet Office with the leaders of the four political parties, signees of the Framework Agreement, VMRO-DPMNE, SDSM, DPA and PDP, Ljubco Georgievski, Branko Crvenkovski, Arben Xhaferi and Imer Imeri. Leader of VMRO-DPMNE Ljubco Georgievski said prior to the leaders' meeting with President Trajkovski that VMRO-DPMNE connects the early elections with "very clear situation - restoration of security, returning and reintegration of all regions of the country through a series of laws which will be discussed these days in the Parliament." "First I stand for reintegration and stabilization of the situation in the country and I think that a practice whose hostages we are for over a year should stop; this practice is that the early elections are main goal of the Republic of Macedonia. I believe that Macedonia has many other goals, especially in a period when it comes out from instable situation," Georgievski said. Speaking about the leaders' meetings, Prime Minister Georgievski said that they were postponed due to obligationso f the SDSM leader Branko Crvenkovski, but also due to Crvenkovski's anger and statements of the type whether he would participate or not. "The fact that Crvenkovski announced that he would no longer participate in the Framework Agreement is very smart from him. It is an intelligent move from political point of view. I do not even intend to talk in that style," he said. Commenting the announcements for enhanced monitoring for the next parliamentary elections, Georgievski said that at the previous meeting he asked from Crvenkovski to submit a list of demands to the government, so the SDSM leader "can finally admit that we will have legitimate elections in Macedonia." "We cannot go to elections if we have constant claims that the elections would be unfair. We asked from Crvenkovski to develop such a list and we are ready to accept it. We also accept full monitoring, and, as you can see, even sprays, which I believe is the most fair situation," he said. Regarding the Law for Amnesty, which is also on the agenda of the meeting with President Trajkovski, the Prime Minister pointed out that it was the main reason why the meeting was attended by per two representatives from every party as well as by foreign representatives. He expressed hope that certain differences could be surpassed at the meeting and joint variant to be developed. "Our position is that a starting date for the amnesty should be arranged," he stated. Prime Minister Georgievski did not answer to the question if he would replace the Minister of education, Nenad Novkovski. "There will be no huge reconstruction of the government," he said. The Party for Democratic Prosperity (PDP) stands for the proportional electoral model, party leader Imer Imeri said Monday, before a meeting at President Boris Trajkovski's Cabinet. "A model with several voting units and one election round, is also acceptable for the party," Imeri said, adding that holding of early elections is a must. The Democratic Party of Albanians (DPA) was also for a proportional model and one election round, party vice-president Menduh Tachi said. "We will present a draft-model with six-seven voting units, and I hope an agreement will be reached on this issue. I will support all ideas for faster implementing of the Framework Agreement," Tachi said. According to him, an amnesty law is also a matter of agreement. "I think that the political party SDSM is also for completing of the work in relation to passing of laws that derive from the Framework Agreement. I also hope that we will reach an agreement on early elections. We shall discuss on these issues today and find out who is really ready for making progress in this respect," Tachi said. Scheduling of early election was not a problem for DPA. The problem referred to the DPA wish for implementing of the Framework Agreement, he added. Vice president of PDP Abduladi Vejseli and Minister of Justice Ixhet Memeti also attend the meeting. MACEDONIA - BULGARIAN PRESIDENT - VISIT. President Purvanov Leaves on State Visit to Macedonia February 26. Sofia, February 25 (BTA) - President Georgi Purvanov will make a state visit to Macedonia on February 26-27, the Press Secretariat of the Presidency said. He will be accompanied by Foreign Minister Solomon Passy and Interior Minister Georgi Petkanov. The delegation will include MPs of all parliamentary groups, too. This will be the second visit by a Bulgarian head of state to Macedonia in the history of relations between the two countries. In May 2000, the then president, Peter Stoyanov, made such a visit there. Purvanov's visit coincides with the celebration of the 10th anniversary of the recognition of the Republic of Macedonia by Bulgaria. Bulgaria was the first country that recognized the young independent republic with its constitutional name in January 1992. Purvanov's forthcoming visit to Macedonia is the second one abroad in his capacity as president. The choice of Macedonia as the destination of the President's second visit shows that it is a priority in the Bulgarian foreign policy and proof of continuity in this respect. Bulgaria realizes that stability in Southeastern Europe is impossible without a peaceful, stable and prosperous Macedonia, the press release says. One of the purposes of the visit is to show empathy for the problems of neighbouring Macedonia, to express a desire to help accelerate the positive processes there, and to outline the possibilities for assistance and help. Purvanov's programme includes a meeting with Macedonian President Boris Trajkovski and official talks between delegations of the two countries. Purvanov will meet Prime Minister Ljubco Georgievski, Speaker of parliament Stojan Andov, the leaders of all parliamentary groups - VMRO-DPMNE, the Social Democratic Union, the Democratic Party of Albanians, and the Party for Democratic Prosperity. He will address the MPs in Parliament, too. Several agreements are expected to be signed during Purvanov's visit to Macedonia. As a candidate for full membership of the European Union and NATO, Bulgaria is ready to share with the Macedonian partners its experience in the accession negotiations with these organizations. The Bulgarian president will confirm Bulgaria's support for the European and Euro-Atlantic choice Macedonia has made, the press release says. On January 15, 1992, Bulgaria, first among all countries, recognized the Republic of Macedonia as an independent and sovereign state. A Bulgarian Consulate General in Skopje and a Macedonian Consulate General in Sofia were inaugurated on September 12, 1992. The Bulgarian Consulate General started functioning in October the same year. On December 21, 1993, the two countries promoted their diplomatic relations to the embassy level. A declaration of the two prime ministers was signed in Sofia on February 22, 1999, expressing the shared will to develop friendly bilateral relations in all areas, to cooperate with the other countries of Southeastern Europe, and to promote understanding, peace and stability in the region. The declaration also featured a mutually acceptable formula for settlement of the so called language controversy, which had a bearing on bilateral documents. This move cleared the way for building a legal basis of cooperation. High-level political dialogue was further developed in 2000 and 2001, when various government ministries and departments as well as NGOs invigorated their contacts. Bulgaria and Macedonia developed their partnership within regional initiatives and promoted their cooperation in the process of integration in European and Euro-Atlantic structures. Consequently, the legal basis of bilateral cooperation was completed in its essentials. The sides concluded 16 agreements, which added up to a total of about 40 bilateral documents. During president Peter Stoyanov's state visit to Macedonia on May 15-16, 2000, the two delegations signed nine bilateral accords and a Joint Declaration of the Presidents of Bulgaria and Macedonia, which confirmed the two countries' common position on the situation in Kosovo and the entire region. President Boris Trajkovski paid a state visit to Bulgaria on June 4-5, 2001. The sides concluded two agreements: on readmission of aliens and on mutual recognition of graduation certificates and academic degrees. The two countries' prime ministers exchanged visits in 2001. Prime minister Ivan Kostov paid an official visit to Macedonia on March 8-9. He conferred with his Macedonian counterpart as well as President Trajkovski, Parliament Chairman Stojan Andov and Albanian Democratic Party leader Arben Xhaferi. The talks focused on the development of bilateral relations and the settlement of the crisis in Macedonia, which had been caused by armed ethnic Albanian extremists in the area bordering on Kosovo. Macedonian prime minister Ljubco Georgievski paid an official visit to Bulgaria September 18-19, 2001. He conferred with Prime Minister Simeon Saxe-Coburg-Gotha, President Peter Stoyanov, National Assembly Chairman Ognyan Gerdjikov and Foreign Minister Solomon Passy. In addition to bilateral relations, the sides discussed the situation in Macedonia and the fight against international terrorism. During an official visit to Macedonia between September 28 and October 1, 2000, the then parliament chairman Yordan Sokolov met with the president and the prime minister of Macedonia. On December 20, 2000, the then Macedonian foreign minister Srgjan Kerim came to Sofia to discuss joint initiatives related to European Corridor 8 and ways to invigorate the contacts between the two foreign ministries. 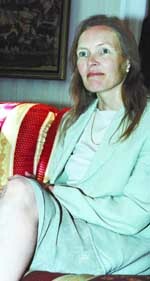 Bilateral relations and the situation in Macedonia featured on the agenda of a working visit by foreign minister Ilinka Mitreva to Bulgaria August 17-18, 2001. In the context of defence cooperation, visits were made by Bulgarian defence minister Boiko Noev to Macedonia (April 18-19, 2000) and Macedonian defence ministers Ljuben Paunovski (October 24-25, 2000) and Vlado Popovski (January 29-30, 2002) to Bulgaria. The sides considered the interaction between the two countries' defence ministries, the coordination of efforts to promote regional security, and Bulgaria and Macedonia's integration with NATO. A protocol on cooperation between the defence ministries in the training of servicemen was signed during Paunovski's visit. The Bulgarian and Macedonian foreign ministries have been cooperating in the fight against cross-border crime, particularly the fight against drug smuggling and illegal migration, as well as border control, police reforms, the prevention of criminal offences, and the issuance of new identity documents. When Macedonian interior minister Dosta Dimovska visited Sofia on June 19-20, 2000, the two interior ministries signed a protocol on cooperation in border control and combating illegal migration. The effective bilateral documents in the field of trade and economy, the existing mechanism of coordination (an intergovernmental commission, joint committees and working groups), and the entry into force of a Free Trade Agreement (January 1, 2000) have contributed to the development of economic cooperation. In 2001, two-way trade stood at 131.8 million US dollars, which is considered to be below the potential and needs of the two economies. Bulgaria and Macedonia persist with their efforts to normalize the regulations for crossing of the common border and to develop the infrastructure on both sides of the frontier. Much study and design work has been carried out for projects to build three new border crossings and to implement initiatives related to Corridor 8, such as completion of the Sofia-Skopje railway and building of a 400 kW power line. May 15, 2000 saw the conclusion of agreements on cooperation in culture, education and science. 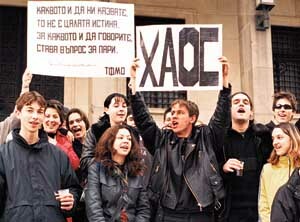 An agreement on mutual recognition of graduation certificates and academic degrees was signed during President Trajkovski's visit here June 4-5, 2001. A programme for cooperation in education and science was signed on November 14, 2001. BOSNIA AND HERZEGOVINA-DAYS OF SOFIA. Sarajevo, February 25 (BTA exclusive by Teodora Encheva) - The Days of Sofia event, held in the sidelines of the Sarajevo Winter festival, was a great success, BTA was told by the Bulgarian Embassy in Bosnia and Herzegovina. The audience called on stage the men's vocal ensemble Yulangelo for several encores after they wrapped up the Bulgarian participation in the festival. The performances of the women's vocal ensemble Cosmic Voices of Bulgaria, the Sofia Soloists and the Iskur ensemble proved tremendous crowd-pleasers as well. The Bosnian media reported extensively on the Bulgarian acts and stressed the significance of their participation in the festival for the familiarization amongst Balkan nations. Cosmic Voices of Bulgaria also performed at the SFOR HQs. Sarajevo, February 25 (BTA special correspondent Asen Boyadjiev) - Meeting with Bulgarian Army General Staff Chief Colonel General Miho Mihov at the Butmir base near Sarajevo, commander of the NATO-led stabilization force (SFOR) US general John Silvester commended the work of the Bulgarian SFOR contingent and said he would be glad if they continue to serve in Bosnia and Herzegovina. Mihov arrived here on Monday to inspect the Bulgarian troops and greet them with Bulgaria's national holiday, March 3. Mihov also met with SFOR chief of staff general Schultz. The excellent response of the rapid reaction unit to Saturday's highest state of alert, declared in the wake of a bomb threat, was cited as proof of the good performance of the Bulgarian troops. Bulgaria should decide for itself if it wants to commit more troops to the SFOR mission. Such an addition will be welcomed, Silvester said, pointing out that the decision on this issue was not made by him but by the North Atlantic Council in Brussels. "I am not concerned about the fate of our soldiers, sergeants and officers. Good things were said about their preparation," Mihov said, adding that he had discussed with Silvester the continuation of this country's participation in the peacekeeping mission. Replying to a question, Silvester confirmed that links to the terrorist network of Osama Bin Laden as well as to other international terrorist networks have been uncovered in Bosnia. The investigation will continue as part of the protection of SFOR and of the local population, he said. will decrease, Silvester said in response to another question. However, it will remain sufficient to enable the implementation of the mission assigned to SFOR by the North Atlantic Council, he said. Mihov met with the command of the Bulgarian mechanized platoon and of the company tasked with the defence and security of the base and with the security of the entry points, congratulated them with the upcoming national holiday and conveyed greetings from the Bulgarian president and the defence minister. He gave a high assessment of their work. The meeting was also attended by Bulgarian Ambassador to Bosnia and Herzegovina Georgi Yurukov. Senior national representative colonel Pavel Iliev told a briefing that the security troops are in good health and are fulfilling successfully their duties. The restructuring of the two countries' armed forces was front and center on the agenda of Mihov's meeting with Bosnian Defence Minister Nijo Anic. "Our biggest problem at the moment is the 50% reduction of the armed forces," Anic said. The leadership of the Bosnian Defence Ministry was interested in the work of the Bulgarian side under the Partnership for Peace initiative, in the country's preparation for NATO membership, in the reform of the statutory framework and the adaptation of the defence industry to NATO standards. Mihov noted that a national military strategy is about to be adopted and that the doctrines for the different army branches have already been drafted. The professional army and the alternative military service were also discussed. The two sides, which met on this level for the first time, agreed to hold further meetings in the future and to prepare a plan for bilateral military cooperation. Replying to a question, Anic said his ministry has information on the existence of terrorist cells but refused to give further details, saying this lies within the competence of the Foreign Ministry and other institutions. Anic thanked Mihov for Bulgaria's involvement in SFOR. Mihov also met with the service men and women from the security company at the Butmir base. He told the command of the security company and the mechanized platoon that the participation of the Bulgarian Army in peacekeeping missions will continue to be priority in army training in 2002. A company of 149 Bulgarian troops was stationed in the Butmir base in early 2002 to maintain the security of the military installation. The company is made up of volunteers, including three women, and will serve in Bosnia and Herzegovina for 12 months. Minister Atanasov Escaped from Pupils. 'Minister Atanasov, why are you hiding from us', shouted pupils from the whole country, who came to Sofia for a protest procession against the matriculation exams. The teenagers started to gather in front of the BNB at 11 a.m. The greater part of them carried referee whistles, cymbals and common spoons. 'Down with Atanasov', 'Down with the Matriculation Exams', the teenagers shouted. They were watchfully guarded by hundreds of policemen. Till the end of the procession Minister of Education didn't appear before the pupils. If there are drunk or drugged young people we are instructed to take immediate care and bring them out of the group', a senior officer explained. 'Till now there aren't any incidents. Children behave in a civilized way and haven't broke anything', policemen said. The posters were full of witticisms like - 'The 2003 Graduates' Patience Ended!' 'I'm a Bulgarian, and You Mr. Atanasov? ', 'I Don't Want to Study in the West!'. The protest ended with a party in the Southern Park, where rock and rap groups ant the 'Charisma' and Orlin Goranov-Kristina Dimitrova duets sang in support of the teenagers. Premier To Visit USA and Moscow. PMs visitation to Moscow will be after his visit in the USA, press director Tsvetelina Uzounova said yesterday. Currently, both the key visits are being prepared. The exact dates, however, are not yet specified. BG fresh ambassador to Washington - Elena Poptodorova said the day before yesterday, that Simeon Saxe-Coburg-Gotha will fly to the USA by May. Foreign Minister Solomon Passy, however, is to pay a visit before the PM. To well-informed sources from the Parliament, the Premier will visit America in April, while the visitation in Moscow is fixed for May. The President To Take Two Ministers to Skopje. Head of state Georgi Parvanov will hand over the 'Stara Planina' order - first degree, to US ambassador Richard Miles tomorrow, hours before his departure for an official visit to Macedonia. The order is a recognition for Mr Miles' contribution to the promotion of relations between the two countries, sources from the presidency stressed. The three-year-mandate of ambassador Miles to this country has come to an end. During his visit to Macedonia the president will be accompanied by Number One diplomat Solomon Passy and IM chief Nikolai Svinarov. The visit coincides with the 10th anniversary of Bulgaria's recognition of Macedonia as an independent state. The two presidents will discuss, among others, the construction of a railway line from Sofia to Skopje. BG to Ask 3 NATO Superiors About Dossier Records. The pivotal consultation is to be held with Lord Robertson - Alliance Chairman. Three top level NATO officials will say their verdict about the dossiers, before the Classified Information Act to be put for second reading in the plenary hall, Stanimir Ilchev - head of the Foreign Policy Committee with the National Assembly, said yesterday. 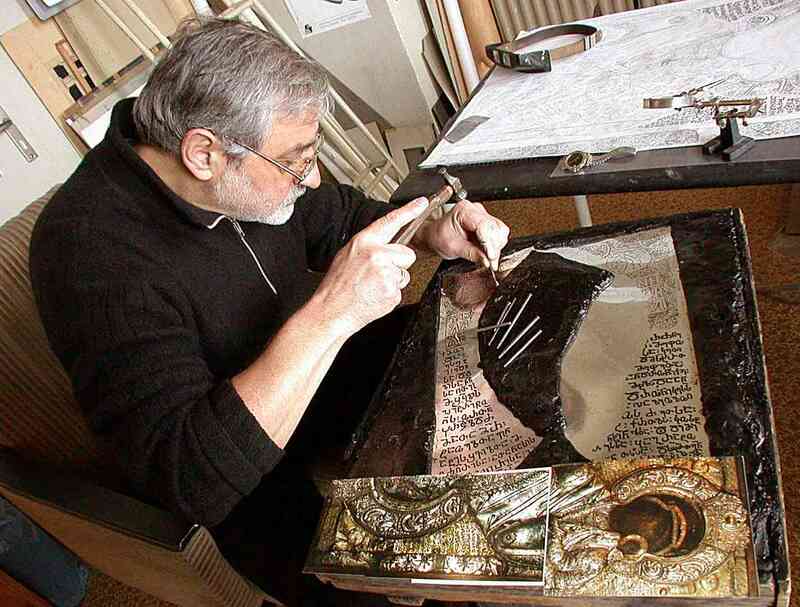 To him, several options are possible for the archive of the former State Security Service (SSS). The first one specifies, that the secret information will be classified and certain circle of people in specified situations should have an access to it. Term of limitation to be determined is the second option. The SSS archive to become subject of the Access to Public Information Act, which means that the dossiers should join the State Archive. Geffrey Simon from the U.S. State Defence University and Bruss Jackson - head of NATO Enlargement Committee, coming in Bulgaria this week, and Lord George Robertson - NATO Chairman, who arrives in Sofia on February 28, will be asked to consult the BG experts on the classified files topic. 200 Customs Officers To Be Reinstated in Work. On the day when Emil Dimitrov gave in his resignation, there left his closest aids, referred to by customs authorities as 'Emil Dimitrov's family'. Dimitrov's deputy Bogdana Dzhongova gave in her resignation without any explanations. Office chief Tsvetan Paounov also resigned. His seat is expected to be taken by Tihomir Chernev. In the meantime, the chief secretary of the 'Customs Houses' Agency Iliyan Mateev unlocked the office, which had been sealed by Dimitrov, and entered it to wait for the new decision of the chiefs. Last summer Dimitrov accused him of collecting bribes from customs officers but didn't dismiss him. Stoian Ganev Did Not Come Back. At first it was announced that Stoian Ganev was to return to Bulgaria last Wednesday. Reporters, however, waited him at the airport to no avail. It turned out that he had to make several trips off New York and will stay on for several days. The preimer even asked him for a personal favour. Ganev was expected to tarvel to Washington as well. Meanwhile, his dissmissal has not been signed by the premier. N. Vassilev: We'll Carry out Our Tenure. We'll endure our 4-year mandate. The now government disposes with the largest ever parliamentary support from 1990 on, Vice-Premier Nikolay Vassilev said. He was asked to comment the publication that the Bulgarian business stakes on when the Cabinet will step down the office. 'We have a serious ruling program and we move fast to the right direction. I hope that the time and the passion of the Bulgarian people will be enough, so to be understood that those will be the good results, Vice-Premier elaborated. The NMS Parliamentary Group is more consolidated than ever, especially after the non-confidence vote. We can't talk about whatsoever split in it, he added. Primakov Invited Slavi to Reconnaissance Party. "You suffer from Bulgaro-centrism," the ex-premier of Russia maintains. Russia's ex-premier Evgenii Primakov invited Slavi Trifonov to take part in a Russian reconnaissance party. He extended his invitation twice in the show the bTV spectators are to watch tonight. "When a Russian says that he is willing to carry out a reconnaissance party together with you, it means he is showing his friendliness to you," the scripters elaborated after the show was over. Primakov and Trifonov toasted 4 times, while conversing. "Why, if you do really think that KGB shows interest in Bulgaria only, it is a Bulgaro-centrism of a kind," Primakov stated. "I do not remember in my capacity of the premier, any important reconnaissance intelligence about Bulgaria given to me," he elaborated. During the show, Primakov said he was ready to cooperate with the Hague Tribunal in favour of Milosevic. "I'm aware of the developments in Yugoslavia and I still have participation in some of them," he said further. "It was a very nice and friendly talk," commented Primakov on his dinner with President Parvanov on Saturday. Russia's Vice-Premier Alexei Koudrin and BSP leader Sergei Stanishev also attended the dinner. "We did not discuss serious matters," Primakov said laconically for "Standart". Balkan Receivers Brought to Account for Losses. The meeting of Balkan creditors dated for today, is called by the Sofia City Court at the request of Dimitar Danailov and Alexander Katsarski - legal advisors of the airlines. To them, new receivers Olga Milenkova and Hristo Mollov had managed the carrier in complete absence of transparency and information. The motives of the receivers to barter the slots in London, report for their activity by February 15 and listening of their explanations for the accumulated losses during their ruling, are to be discussed at the meeting. Yet, the receivers required all items related to Balkan's draining to be also debated, but the court withdrew their claim. Gad Zeevi - owner of the airlines, insisted on calling the meeting. He lost control over the company, when on November 1, 2001, former receivers Ralitsa Topchieva and Vladimir Petkov had been removed. Moreover, less than a month ago Kamelia Ephremova - judge on the trial, was ousted as well. BG Arms Export to India to be Doubled. Our companies from the Military Industrial Complex will set up joint ventures will local armories. The weapons export turnover from Bulgarian military plants to India will grow twice as much in 2002, Deputy-Minister of Economy Kaloyan Ninov said after his arrival from the special products exhibition 'DEFEXPO 2002' in New Delhi. So far are agreed as much supplies for 2003, as they were for the whole 2001. The major exporters for the Asian state are 'Arkus' - Lyaskovets, VMZ-Sopot and 'Dounarit' works, while the middleman in the deals is the foreign trade 'Kintex' firm. CEOs of the works were also included in the delegation for India. Bulgarian companies may take part in joint ventures with Indian partners from the military branch. Restructuring of the Indian MIC is underway now. Up to 26 percent participation of foreign companies in the joint ventures is allowed, Kaloyan Ninov explained. Session of the joint Bulgarian - Indian commission is likely to take place in June, Ninov added. Vice-Premier Nikolay Vassilev is to chair the commission from the Bulgarian part, while co-chairman from India will be the Farm Minister. There's an opportunity on upping the civil production's export of VMZ and 'Dounarit', Kaloyan Ninov elaborated. The BSP - Between Power and Opposition. The socialist party will end its dual role, its support for the cabinet grows dangerous for 20 'Pozitano' Street. Despite the fact that it had no chances to succeed, the UtdDF submitted no-confidence vote in the government was a challenge and not only to the ruling coalition. It also inevitably reflected on the BSP because of the political and parliamentary conduct it embraced following the elections in the summer of 2001. It is known that the socialist party leaders invariably qualify their party as opposition, but their real policy is that of a factual commitment to the executive power. Following Georgi Parvanov's election to the presidency, the participation and possibilities of the BSP in the state structures grew tangibly. Unlike the UDF, during the 5-6 months after the parliamentary elections the BSP managed to keep its internal integrity and began restoring its social positions comparatively quickly. That process was greatly facilitated by the flaws of the NMS and the growing public disappointment with the movement. The results of the presidential election were the first significant testimony to the successful political tactics of the BSP. Actually, the socialist party is the only parliamentary represented party to have improved its public rating following the elections. According to public opinion polls it comes first with around 20% support of the potential electorate. The negatives from the government policy are at the expense of both the NMS and the right-to-the-center model of rule it personifies. As for the BSP, its strategic goal is the establishment of conditions for replacing that model by a left-to-the-center rule. The party leadership has been increasingly relying on partnership with the MFR. However, in the conditions of a growing impotence of the executive power and growing social tensions, the so far tolerant approach to the authorities becomes dangerous for the BSP itself. There exists a danger that in its capacity of opposition the BSP might lose the initiative. Despite its stepped up anti-government rhetoric, the orientation of the socialist leaders is towards a compromise choice of a political and parliamentary conduct. It is to demonstrate that the BSP can and must be a real corrective of the flaws in the policy of the executive power, particularly so in the social sphere. It is symptomatic that after taking office Georgi Parvanov tangibly toned down his criticisms, displayed during the presidential campaign, at the executive authorities and for the time being gives priority to interaction with the NMS, and not to the party interest. However, there exist grounds to forecast that the realities in the country will shortly necessitate the adoption, by the BSP, of a crucial opposition course. It is very likely for us to become witnesses to a growing political confrontation. 'AKB Corporation' fenced in the complex, the ones who have no money pay in draught. Former privatizatioon fund 'AKB Forest', renamed as 'AKB Corporation', bought at an auction the 'Russalka' vacation village for $2.5 mill. Since then the financial results of the corporation are getting worse with every passing year. While in 1998 the revenues from its activity are 527,000 levs, in 1999 they reduce to 373,000 levs. Since August 10, 2001 the seat of 'Russalka' is situated in Sofia and the vacation village is renamed in 'Russala. For three years already since the 'Russalka' resort is privatized we are afraid for our means of living. We don't know if the owner will allow us even go fishing, fishermen from the villages of Kamen Bryag and Svety Nikova are complaining. Nearly 40 small sailing boats which provide for the same number of families are tied at the pier. After the privatization of the tourist complex the 'AKB Corporation' does whatever it wants with the small fishing villages and creates its own rules, which are imposed to the villagers. Not only the fishermen, but even the Kavarna municipality is fighting with the new owner of the resort. To the mayor Atanas Belchev barring of the road is absolutely illegal. But chief of 'AKB Corporation' Nikolay Banev refused to replace the barriers despite the municipality warnings. Whole summer long the mayor received signals about the record breaking high fees which the fishermen paid at the entrance of the vacation village - 20 levs per man. The explanation about the 20 levs of fee is that it's collected according to the club formula 'all included'. It includes consumption up to 15 levs, an umbrella and sports. The owner of 'Russalka' hasn't decided about the rate of the new fee for the 2002 season. The present fees could undergo some changes, the tourist chief explained. A bomb threat at the Sofia airport startled the smallest son of PM Saxe-Coburg-Gotha - Prince Constantine, and his family. Policemen cordoned off the area between the halls for departure and arrival. The incident coincided with Prince Konstantin's departure for Madrid. All My Family Works towards Investments in Bulgaria. My father is under enormous strain, but he is energetic, claims the premier's youngest son Prince Konstantin. - Did you like Bulgaria? - Yes, very. To us, coming here is always a pleasure. - Did you go out of Sofia? - We visited Borovets, it's marvellous there. I've already been there. - You spent only 5 days in Bulgaria. Did your father had time to be with his grand-children? - I hope we managed to make up for the time we hadn't seen each other. Regrettably, he spent too little time with us. He did his best but he had a lot of engagements. - Did you see him tired? - He bears an enormous responsibility, he has been doing his utmost. So that he is under a big strain. But I found him fit, he is still very energetic when we have in mind his responsibilities. - Did you give him a piece of advice? - I think that many people advise him. Normally a father advises his sons. I believe that with age we too, the children could give him a piece of advice. But it's difficult, his present advisers are good as they are. - Did you talk politics? - A little. He is doing it all day long, so we tried not to talk too much about politics at home. - You are a bank employee. Did you touch upon the possibilities for Spanish companies to invest in Bulgaria? - We've been always doing our utmost to this end, but in principle I don't discuss it with my father but with other people. My father also knows many businessmen who show interest in investing in Bulgaria. So that, be sure, all the family is working to this end. - What did you take as a keepsake from Bulgaria? - Banitsa (cheese pastry), wine, halva and some souvenirs we bought. - When will you see him again? - Regrettably, it won't be soon. I hope it to be before the summer. - Will he go to Madrid or you'll come here again? - We'll come. He doesn't plan any return to Madrid in the coming months. The profit taxes are low but the insurance burden is heavy, standing IMF representative in Sofia Piritta Sorsa says. - Mrs Sorsa, when will the IMF board of directors sign an agreement with Bulgaria? - I expect the IMF board of directors to discuss this issue in February. - Do you think that the cabinet met all the requirements for the agreement to be signed? - There were two major priorities established and these were met. The first was to adopt the Budget '2002 which took place in December. The second one was the incomes policy which also was adopted. - Do you approve of the government's policy to preserve a "gold share" in some of the ventures short-listed for privatization? - We expressed concern that the strategic investors could lose interest, as well as reduce the price they are willing to pay because of the "gold shares" kept by the government. - What are your comments on the cabinets strategies for the sell-out of "Bulgartabak" and BTC? Will you give any recommendations? - I think that the first thing is the Privatization Act to be adopted. Besides, it is very important the privatization processes to be transparent and the best buyers to be selected. - Do you think that the taxation policy should be amended? - Generally, I am for reducing the tax burden. But we must always make sure that the budget revenues will suffice to cover all the expenditures. - Do you find taxes in Bulgaria too high? - They are comparatively high but it depends which exactly you have in mind. For at present, the profit tax in Bulgaria is very competitive in Eastern Europe. It is one of the lowest in the region. But the tax burden of the insurances altogether is very high. It is very difficult to reduce the taxes for everyone insists on low taxes but the budget revenues must be provided. - Do you find the issue of Eurobonds a good idea? - I think it was profitable for Bulgaria. The issue of the Eurobonds put the country on the capital markets. And as far as the terms of the issue were beneficial, it helped the Bulgarian companies and banks to be granted low-interest loans from abroad. - Do you think that the prices of electricity in Bulgaria must be upped again and again? - In Bulgaria's energy sector it is crucial that the prices should cover the costs. Because of the relatively low living standards in Bulgaria, however, the prices for the poorest consumers should be granted subsidies. Gen. Dayk advised Bulgaria to not privatize all of its military factories. Minister of Defense Nikolay Svinarov met the Chairman and Executive Director of the International Corporation for Technology and Trade and a Vice President of NIAG Gen. Charles Dayk. During his visit in Bulgaria, Charles Dayk would visit Bulgarian arms factories in order to create contacts in view of a future cooperation. He said that Bulgaria is a very important country for the future of Europe, and should play its role as a member of NATO and of the European Union. According to him, Bulgarian government does not have to feel uncomfortable to not privatize some of its military factories. Concerning nuclear energy, Gen. Dayk said that Kozloduy Nuclear Power Plant should be preserved and should continue to work, since USD 150 mn were invested in improving its safety. Plasnica-The oldest Macedonian is Ibraim Ajroski from the mountain village of Plasnica in Makedonski Brod region, central Macedonia. He was born in 1889 in Plasnica and he has lived in this village for all of his live. He has never had health problems. The secret of his long life is the bee honey. "I eat about 100 kilos of honey every year"-says Ibraim or grandpa Ibraim as the villagers call him. Ibraim Ajroski, 113 years old! every day in front of the village store. Grandpa Ibraim is very worried about his son's health who has a bad heart. "He is not well"-he says adding that himself goes to the doctors to find out about his son's health. He never takes medicine not even for his bad eye that he injured last year, while cutting wood. 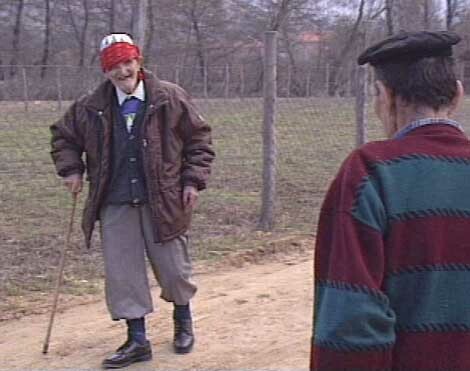 "I always walk to stretch my legs"-says grandpa Ibraim. He still works in a field and this year he plans to grow corn and watermelons. "I want to live"-says grandpa Ibraim inviting the TV crew to visit him again. Arrests for Trafficking and Prostitution in Prizren. Prizren, 25.02.2002 (UNMIK) - In July 2000, an unsuspecting 32 year-old Moldavian woman was lured away from home with an offer of a job in Italy but brought to Kosovo instead. She was bought for 2500 DM by a K-Albanian male KPS Officer who took her to his bar in Lubizhda Village. There, she was beaten and forced into prostitution by the officer and his K-Albanian male partner. A 27 year-old Moldavian female, who was in charge of the women working in the bar, also participated in the crime. According to the victim, the three suspects also sexually abused and humiliated several other women working in the bar. In December 2000, the victim tried to escape but was found by the bar owner after three days. The punishment for fleeing was more severe beatings. Finally, on the 15th of this month, the victim managed to reach the Trafficking and Prostitution Investigation Unit (TPIU) office in Prizren, where she reported the crimes. After detailed interviews with the victim, police obtained arrest warrants from the Public Prosecutor’s office for all four suspects. On Friday, 22 February, in coordinated raids in Prizren and Suva Reka, TPIU arrested the KPS Officer, his Moldavian female accomplice and the concerned bar owner from Suha Reka. UNMIK Police are seeking the fourth suspect, a 32 year-old K-Albanian male. TPIU Prizren is continuing its investigation into the case.